Hitachi EC68 - AIR COMPRESSOR from HITACHI (Japan), is equipped with far-reaching the receiver at 24 liters and makes it possible to produce an output pressure of 0-8 bar connecting a light air tool. The unique capacity of up to 190 liters per minute . 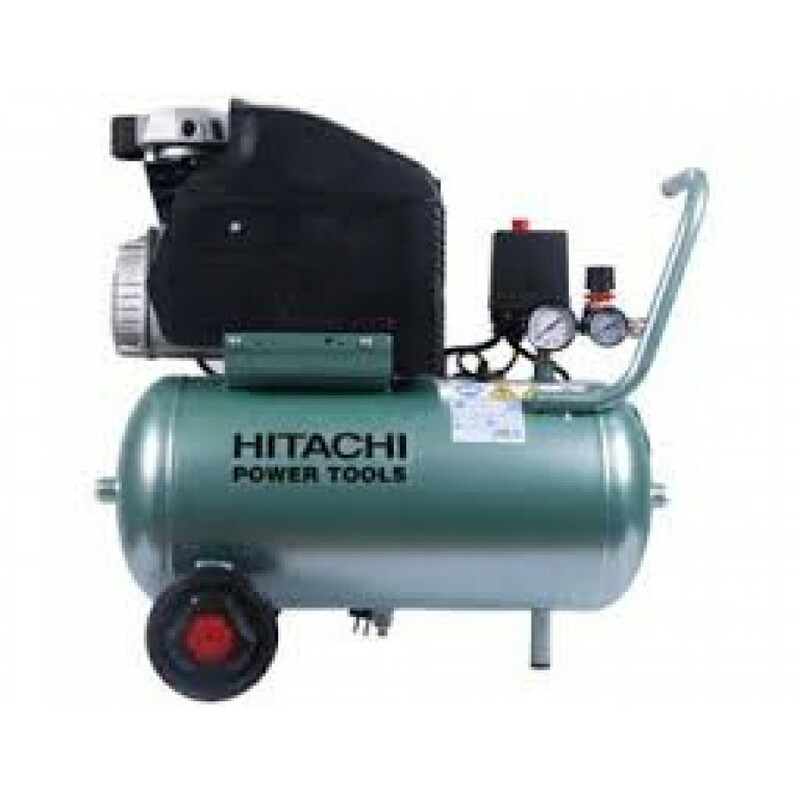 The pressure regulator (regulates pressure exhaust air from 0 to 8 bar). Two pressure gauge - one shows the pressure inside, and another - on the outside compressor. 2 solid rubber wheels for easy transport. Cast iron cylinder - a long life. Convenient oil sight line to the kind of car. The valve of stainless steel. Capacity : 190 l / min. Input Frequency : 50 Hz. Operating pressure : 8 bar.